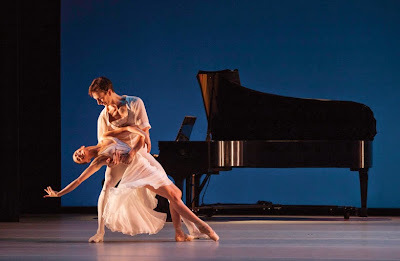 Atlanta Ballet's Modern Choreographic Voices was a program of previously performed ballets, but none that I had ever seen. I was poised for an exceptional evening and Atlanta Ballet delivered! This was the first time these particular three performances—Seven Sonatas, Quietly Walking and Minus 16—had been performed in a single event. To the audience's delight, the three performances worked in chorus for an exceptional evening of performing arts, each ballet unique and special in its own right and collectively spectacular. Be sure to read the "finale" of this post for information about Atlanta Ballet's 2014-2105 season finale, MAYhem...it sounds like it's going to be magnificent! And it starts this Friday! I've mentioned before that I love classic ballet, as much as modern and experiential ballet. I was excited to see Seven Sonatas, knowing it was of the classic variety...and it was beautiful. The on-stage pianist was a pleasant surprise, adding to an already engaging experience. As described by Atlanta Ballet, Seven Sonatas is "an exquisitely challenging classical work with Seven Sonatas from American Ballet Theatre artist in residence Alexei Ratmansky. Breathtakingly impeccable and performed with live piano accompaniment, Seven Sonatas focuses on the playful relationships of three couples." Let me say it now instead of waiting until the end of this writing. If you're not attending Atlanta Ballet performances, you're missing out on one of the most incredible gifts Atlanta has to offer. You don't have to be classically trained in ballet to enjoy it. You don't have to be widely experienced in the performing arts to enjoy it. If you're even mildly interested in learning about the edge-of-your-seat mastery of one of our local treasures, invite someone you like, someone you're comfortable with, and someone you think might also enjoy the experience...and come see a show! If you're not sure you're ready for a full performance—which I highly recommend you do anyway—check out what's coming up on the company's Wabi Sabi schedule. I found everything about Quietly Walking unabashedly sublime, but what struck me most was the ever-present, yet somehow subtle trio in the "background"—a challenge to be subtle when wearing bright green dresses of a color somewhere between radioactive green and that gorgeous springtime new-growth green. Not familiar with the piece, it seemed to be a telling of the (not often enough told) struggle between humankind and all-too-delicate nature. This ballet may not offer answers for our challenges in this matter, not in the form of an epiphany, but it does make one ponder. During intermission, the friend I was with that evening told me that Quietly Walking brought him to tears, that he found it incredibly moving. And it was. The performing arts have pulled more than a few emotion-wrought tears from me over the years. I suppose I've had the pleasure of seeing some remarkable performances. I'm grateful to have had the opportunity to, and that those opportunities continue with such talent-rich organizations like Atlanta Ballet. 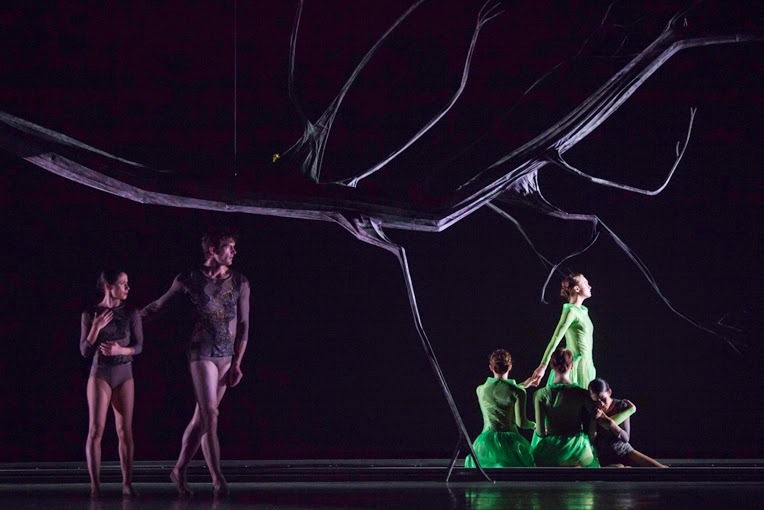 As I write this, I realize that of the last four Atlanta Ballet performances I've seen, since December, I've been with someone different, which is exciting to me because that means I've had the pleasure of sharing our magnificent local ballet company with multiple people. Clarification...the December performance was a gift to me from my best friend, and it was the catalyst of my desire to share Atlanta Ballet with so many others since. Again, I'm grateful. Of the three performances that evening, the one I was most looking forward to was Minus 16. I was excited to see the entire show, but Minus 16 called to me for some reason. The previews I'd seen foretold a rather unique expression of improv, precision and the unexpected. Especially unexpected was the bringing up to the stage a guest per performer for the chance of a lifetime...to dance one-on-one with a member of Atlanta Ballet. Minus 16 is pure delight, filled with amusement, and an unbridled passion for dance. "Not your mother's ballet," was shared by 365 Atlanta Family about Camino Real. Minus 16 falls in the same category. When you hear that, please hear only that it's something magnificently new and unexpected. I love classic ballet, and always will, but I'm excited to see something totally different exquisitely executed. The sequence depicted in the photo below I don't think could have been performed with any more precision. Perhaps that's one of the (many) things that I enjoy about ballet...the precision. When I was in the Navy, I always enjoyed the pace, rhythm and cadence of our marching exercises. When the entire company was in sync, you understood, with swollen pride, just how teamwork can also be something quite elegant. Well performed ballet certainly is. 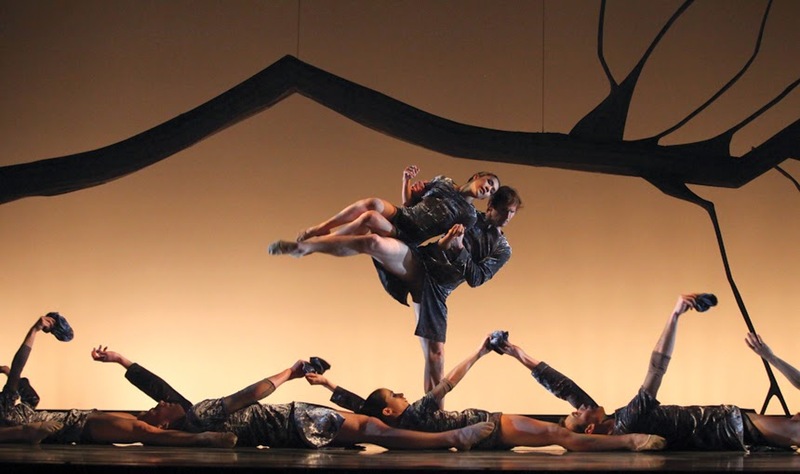 Atlanta Ballet wraps up its 2014-2015 season, their 85th season, with three premieres in MAYhem, opening this Friday, May 15 and running through Sunday, May 17, 2015, at the Cobb Energy Performing Arts Centre. There are numerous MAYhem special events, including Night Out with MAYhem on Friday evening; a post-performance Choreographer Talkback on Friday; and Sunday Jazz with Atlanta Ballet immediately prior to the Sunday matinee performance.